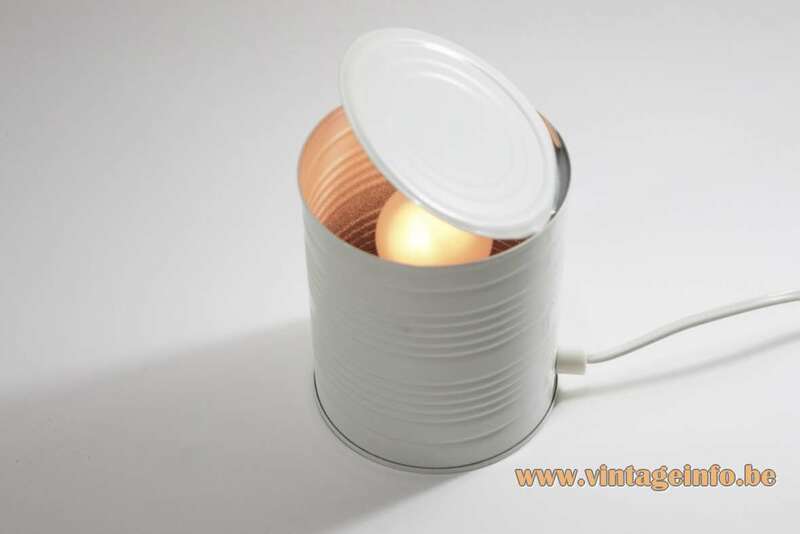 Materials: White painted tin can (iron) with an opened lid. White plastic E27 socket. 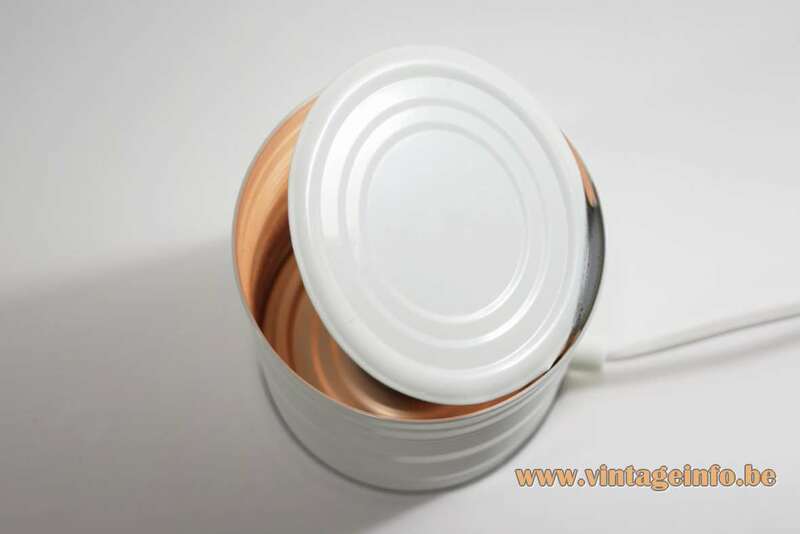 Height: 12 cm / 4.72” – lid closed. 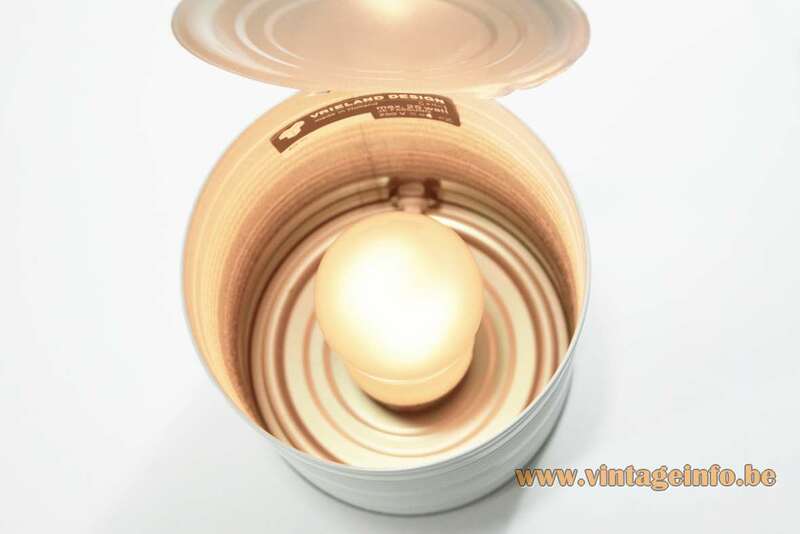 Electricity: 1 bulb E27, 1 x 25 watt maximum, 110/220 volt. 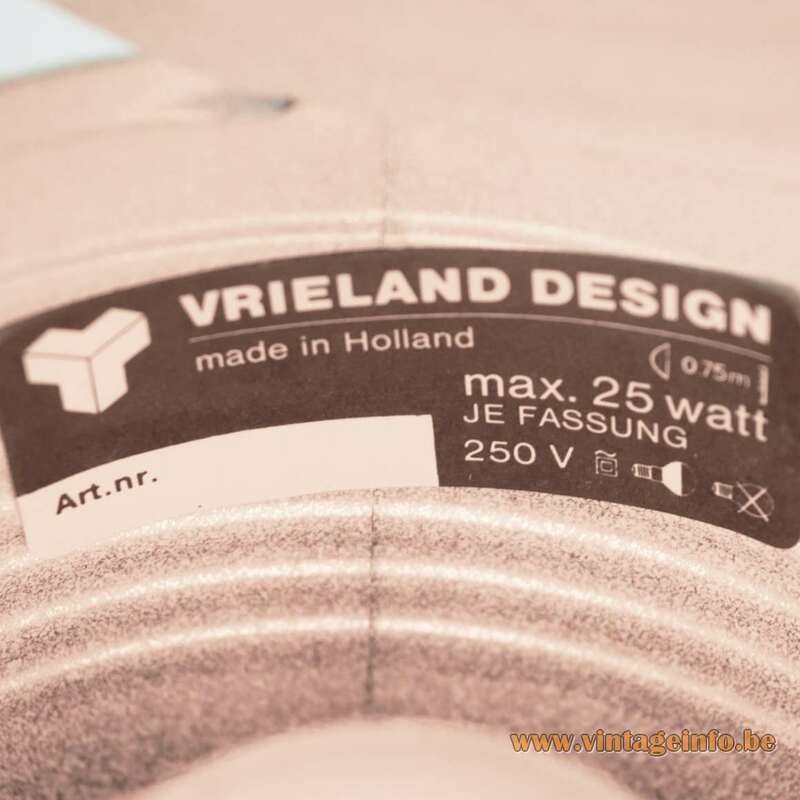 Manufacturer: Vrieland United Factories B.V., Goes, The Netherlands. Other versions: made in several colours; blue, white, black, red…. 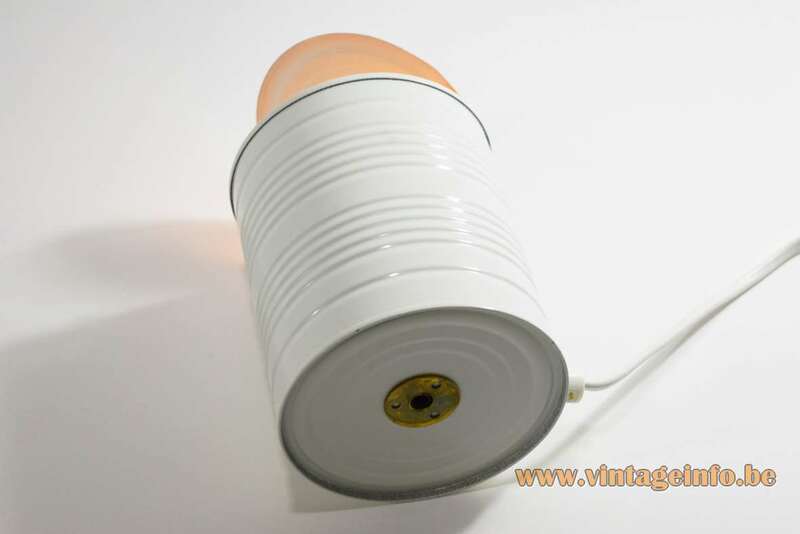 This lamp was produced in Germany by an unknown company. 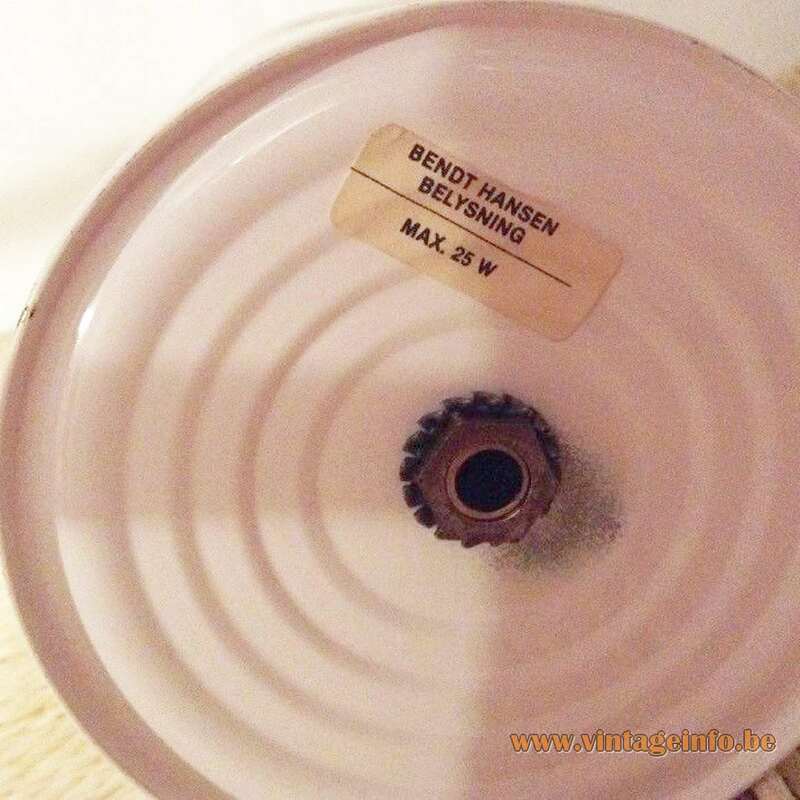 The label says Je Fassung 25 Watt, German for: Each socket 25 Watt. 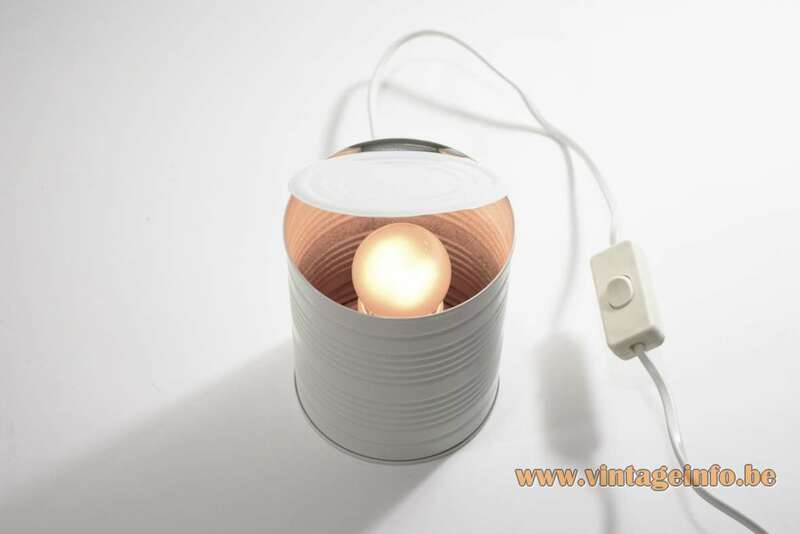 In Dutch it should be: Elke lamp 25 watt. 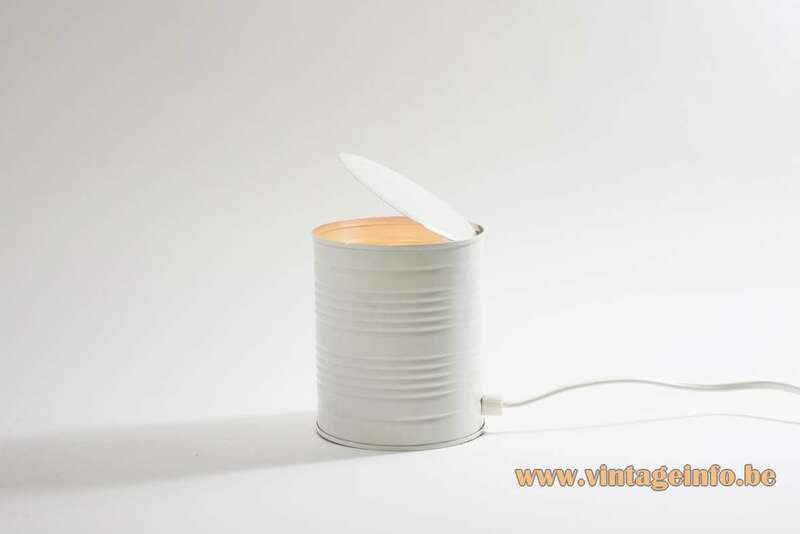 This tin can table lamp was also sold by Bendt Hansen Belysning from Denmark. The company was active in the 1980s.